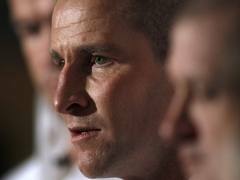 England continued to cut ties with their dismal World Cup campaign when Stuart Lancaster was named as caretaker coach for next year's Six Nations championship. Lancaster will take charge while a permanent replacement is sought for Martin Johnson, with Graham Rowntree and Andy Farrell as his assistants.Johnson resigned last month after England's World Cup quarter-final exit following a disappointing tournament rife with problems on and off the pitch. Attack coach Brian Smith did not seek a new contract following criticism of his performance by the England players and the future of two other members of Johnson's coaching team, Mike Ford and John Wells, is under discussion, acting Rugby Football Union (RFU) chief executive Stephen Brown said.The 42-year-old Lancaster, a former Leeds forward, is currently in charge of the second-string England Saxons team. 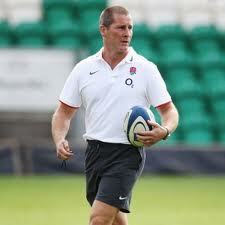 His first game in charge of England will be the start of their Six Nations defence against Scotland on Feb. 4. "I am proud to have this opportunity and feel a great sense of responsibility," Lancaster told a news conference. "I am very privileged to be here. We have 41 games before the next World Cup and we want players with talent and character who are hungry and ambitious to achieve. "Rowntree worked under Johnson as forwards coach and looks set to be the only survivor from the former coach's senior management team.